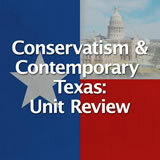 Conservatism and Contemporary Texas unit contains 14 learning experiences. 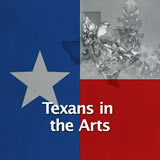 Students learn how the diversity of Texas is reflected in a variety of cultural activities, celebrations, and performances. They research a festival that celebrates an immigrant group's native culture. Then they define assimilation and give an example. Finally, they write a letter to a friend in the "old country" explaining how they preserve their cultural heritage in Texas. 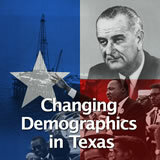 Students analyze the effects of changing population distribution and growth in Texas. They explore and analyze census maps and age distribution graphs. Then they consider possible future trends in the state's population. Students are introduced to Texas folklorist J. Frank Dobie. Then they conduct research on famous Texas artists. Finally, they elaborate on the question, What make someone a Texas artist? Students learn about the Houston Ship Channel. Then they analyze the positive and negative consequences of this environmental modification. 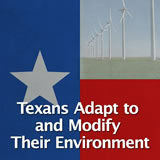 Finally, they imagine what changes may occur in the Texas environment over the next century. 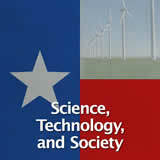 Students identify contributions made by Texans to science and technology. Students learn about three Texas leaders in the field of medicine: Michael DeBakey, Denton Cooley, and Benjy Brooks. Then they work in groups to conduct research on famous Texas scientists and inventors. 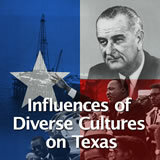 Finally, they analyze how innovation builds interdependence between Texas and the world. Students first identify a commemoration that they have attended personally. 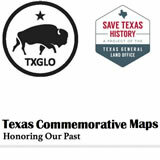 Then they analyze a commemorative map, The Great Military Map of Texas. Next, they work in small groups and assign each group member a role. The small group creates a commemorative map of its own. You may let each group choose a topic or you may assign topics to the groups. Finally, each student uses a rubric to rate the small group work. 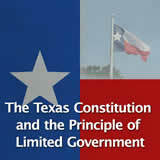 Students learn how the Texas Constitution reflects the principles of limited government. 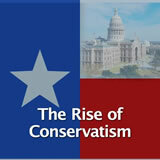 They also compare and contrast the principles and concepts of the Texas Constitution and the U.S. Constitution. Then they analyze one of the rights guaranteed in the Texas Constitution. 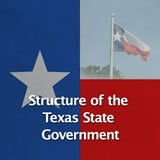 Students learn about the structure of the Texas state government. First they examine the legislative branch and draw a chart of how a bill becomes a law. Then they explore the executive branch and describe one of the various offices, commissions, or committees under its authority. Next they define important characteristics of the structure of the judicial branch. Finally, they create an infographic about one of the three branches. 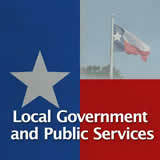 Students learn about local government in Texas. First, they examine the function of counties and research their own county. Then they learn about types of municipalities and forms of city government. Next they read about special districts and give information about their own school district. Finally, they prepare a presentation for a third-grade class about local government in Texas. 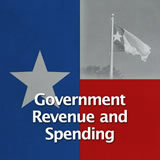 Students learn about government revenue and spending in Texas. 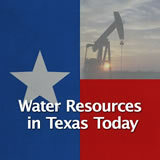 First, they study revenue sources and categories of spending from the 2016"“17 Texas state budget. Then they learn how local governments raise funds, and they explain why local governments are interested in attracting businesses to benefit from property taxes. Finally, they examine sources of funding for public education in Texas. 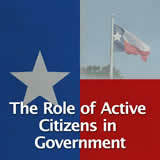 Students examine the rights and responsibilities of Texas citizens and the need for civic participation. They read the Texas Bill of Rights, summarize some of the rights included, and explain one that is important to them. Next they examine how voting is both a right and a responsibility and explain how to be a more responsible voter. Finally, they examine statistics about Texans' civic participation and derive a definition of civic participation. 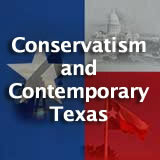 including the Conservatism and Contemporary Texas Unit.